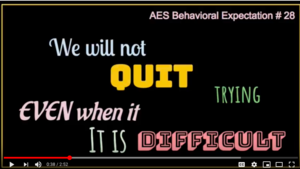 AES Behavioral Expectation Focus this week (April 8-12) is: "We Will Try Even Harder When Something is Difficult." 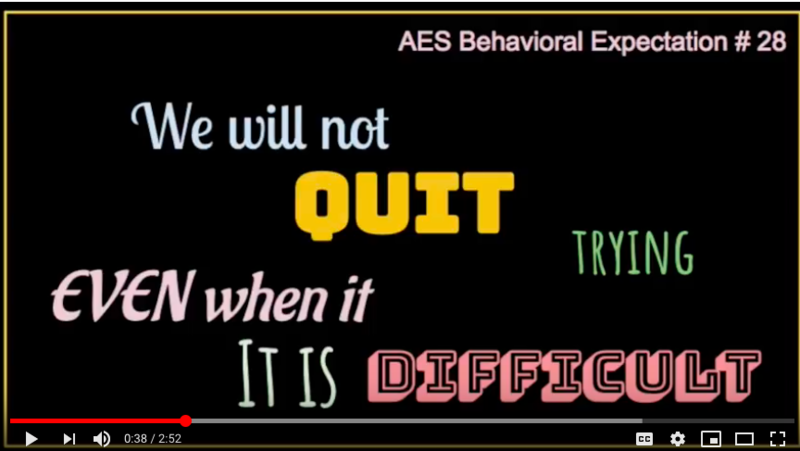 Each week AES produces a behavior video designed to encourage our students to "be responsible, be respectful, and do their best." This week's video reminds our students to keep working hard even though sometimes you get frustrated when working on a task even if you feel like quitting! But if you keep trying, ask for help and persevere, you can often accomplish a task even when it seems too difficult.